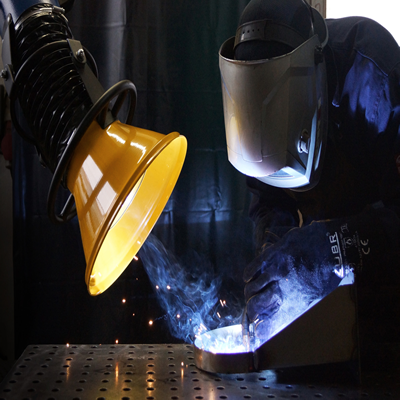 Exposure to welding fumes can cause serious health implications such as reduced lung function, irritation of the throat and lungs, metal fume fever, pneumonia and even cancer. 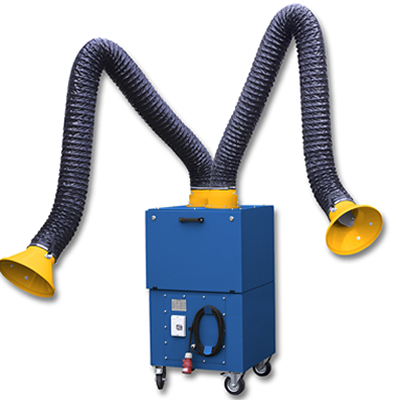 We provide an excellent range of welding fume extraction solutions manufactured by Oskar Air Products. 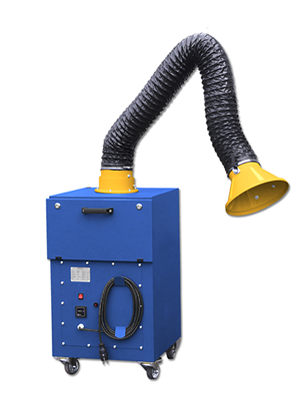 These include vent to atmosphere or filtered fixed systems, fume extraction arms, extension booms, mobile welding fume extraction, downdraft tables and welding booths. 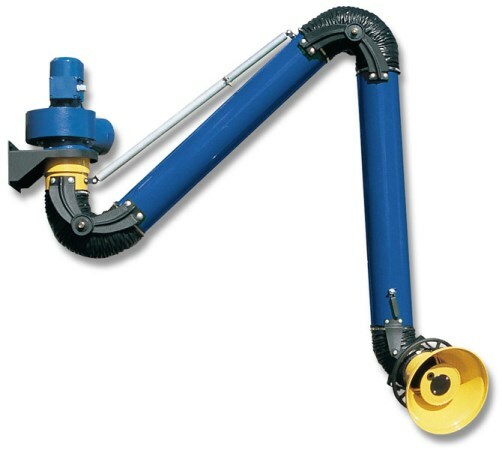 Oskar Air Products self supporting fume extraction arms are one of the most advanced, heavy duty products available to capture airborne contaminates at source. 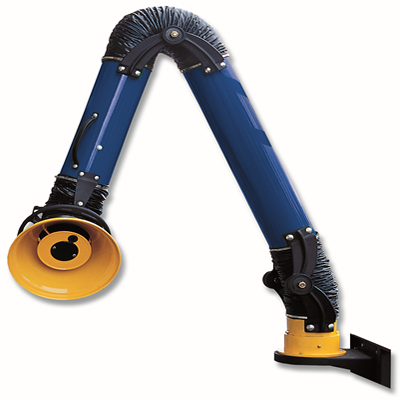 There are no internal supports within the arm giving minimum resistance, maximum airflow and ease of adjustment. 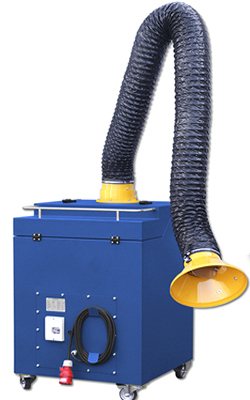 Please contact our sales team if you wish to discuss your requirements or arrange for a project engineer to visit you.